Gil O-sol (Kim You-jung) comes here for a cleaning job in episode 6 of Clean With Passion For Now (일단 뜨겁게 청소하라) (JTBC, 2018-19) and as soon as Jang Sun-gyeol (Yoon Gyun-sang) hears about it, he comes running to save her as the client is on the company’s black list for sexual aggression. 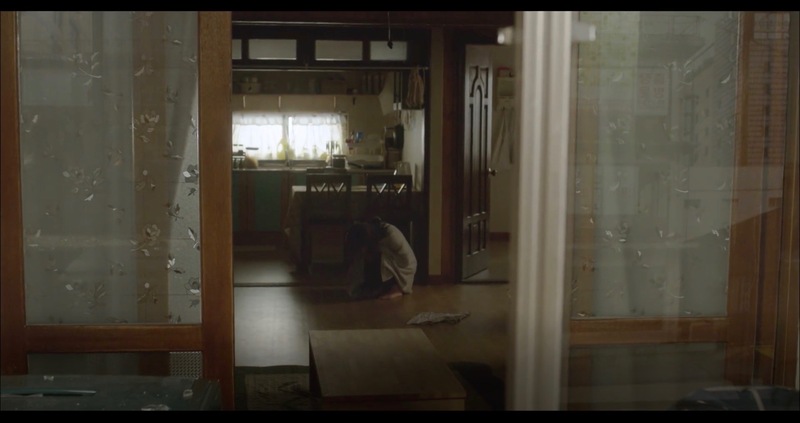 Seol Ji-Hyun (Seohyun from Girls’ Generation) lives here with her sister and mother and later alone in episodes 1 to 10 in Time (시간) (MBC, 2018). 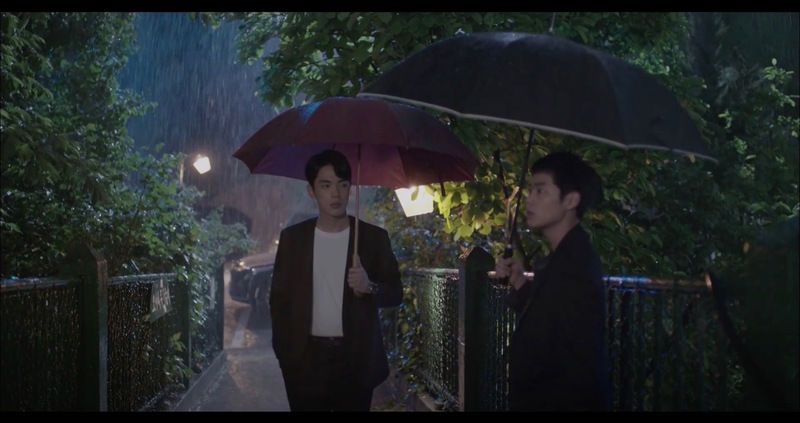 In episode 1, Cheon Soo-Ho (Kim Jung-Hyun) comes to find her and collapses while talking to her. 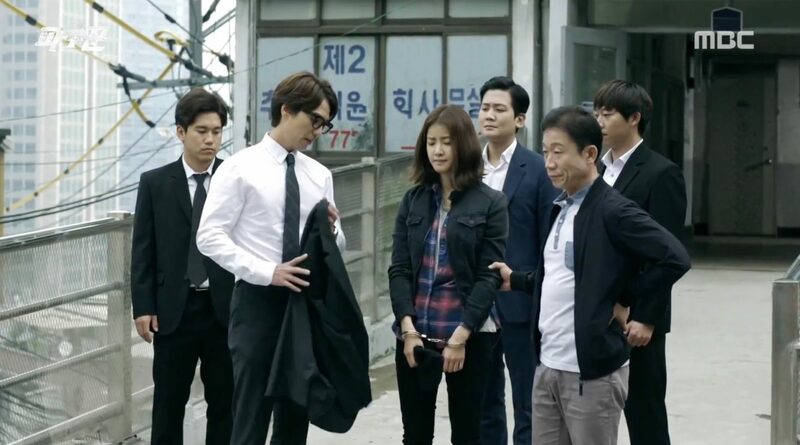 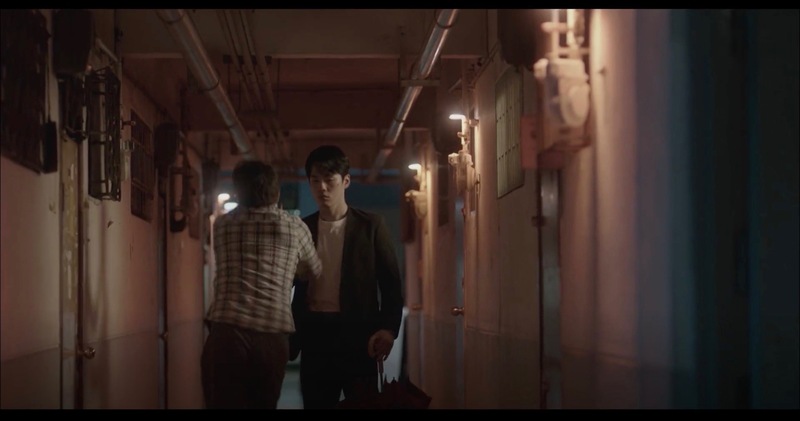 In episode 4, worried Soo-ho is back here and observes how Ji-hyun flees from here apartment. 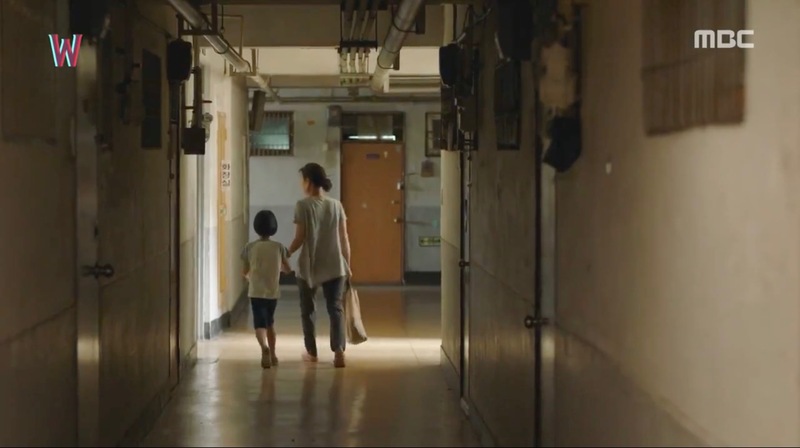 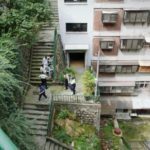 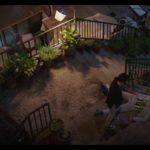 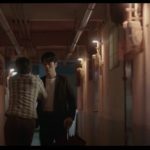 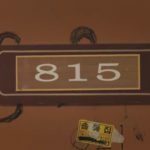 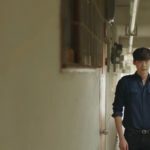 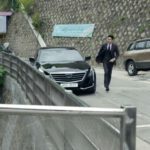 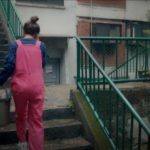 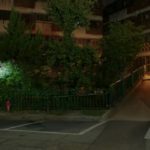 In episode 9, Soo-ho is back here worried that she might kill herself after her mother’s death and breaks into her apartment when she doesn’t open the door. 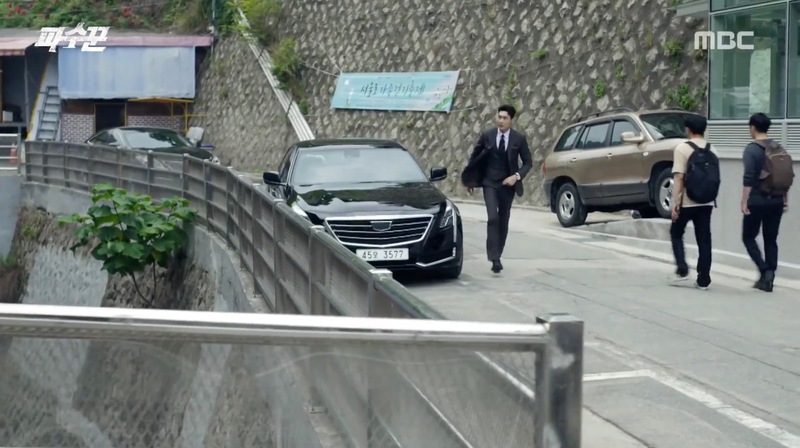 Still worried (and rightly so), he is back again in episode 10. 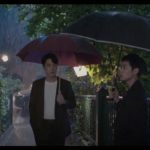 Im Ba-reun (L of Infinite, Kim Myung-soo) and Park Cha O Reum (Go Ara) come here to better understand the violent offender case in episode 12 of Ms. Hammurabi/Miss Hammurabi (미스 함무라비) (JTBC, 2018) and they learn that only elderly live in this apartment complex and the offender in question lived together with his mother until she took her own life, which made him even more violent; especially when drunk. 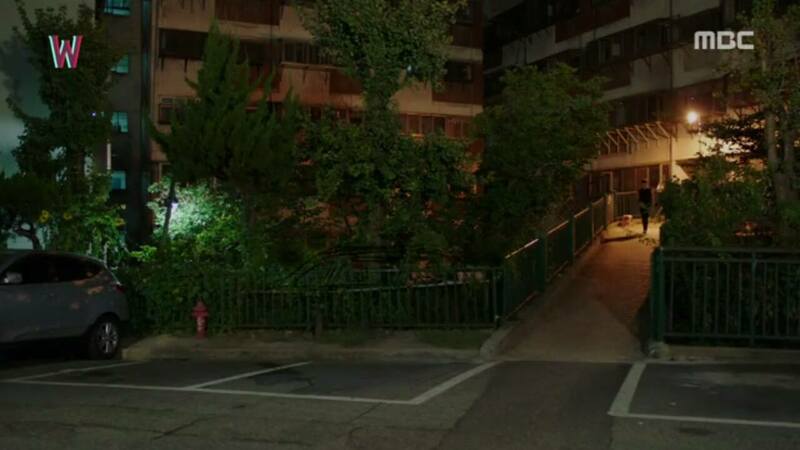 In Lookout (파수꾼) (MBC, 2017), Seo Bo-Mi (Kim Seul-Gi) lives here and Jo Soo-Ji (Lee Si-Young) gets arrested by the police when she tries to protect Bo-Mi in episode 13. 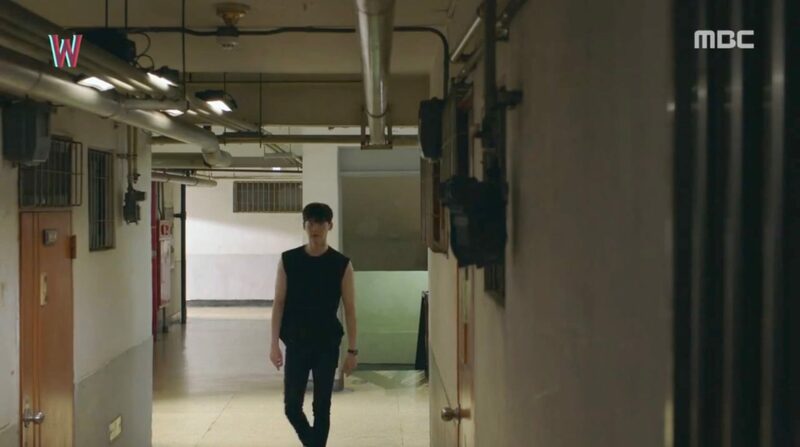 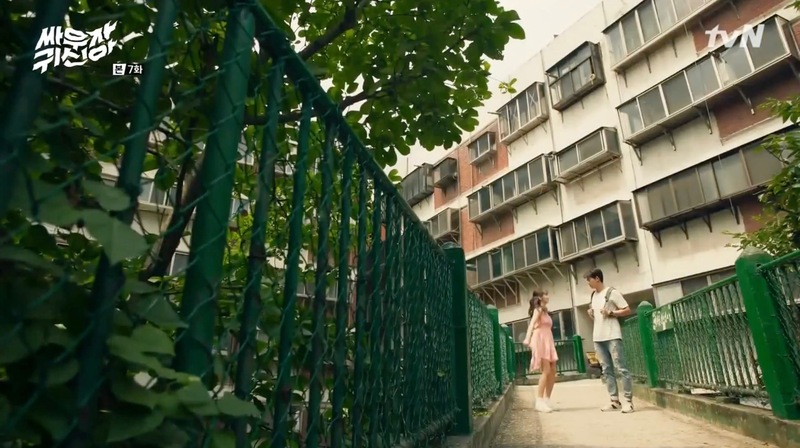 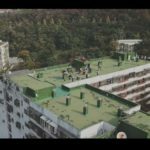 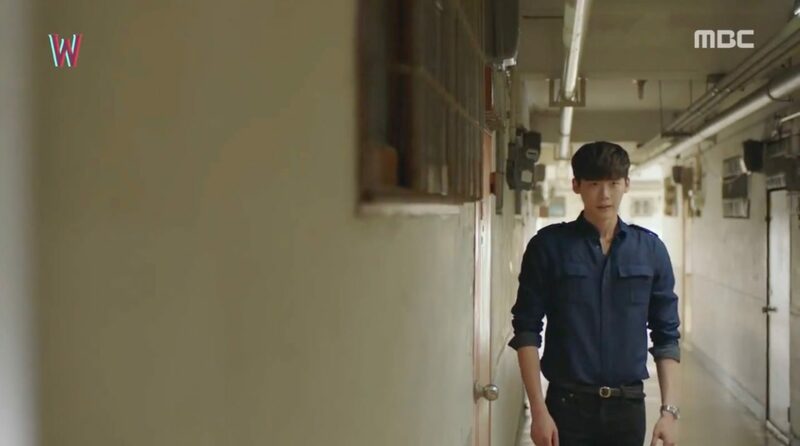 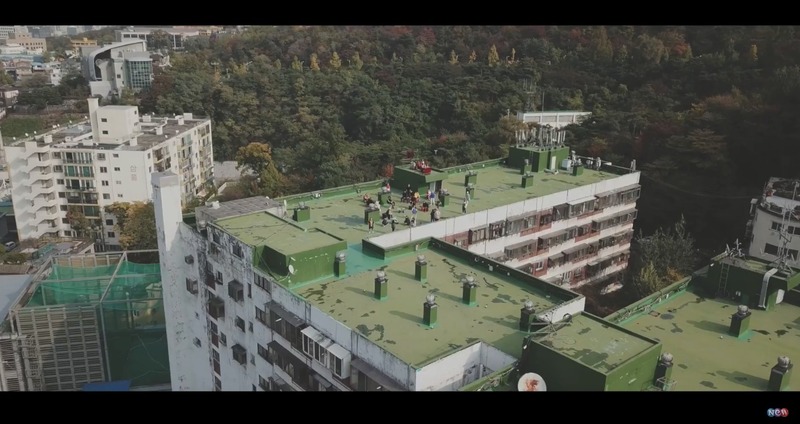 In Let’s Fight Ghost/Bring it on, Ghost (싸우자 귀신아) (tvN, 2016), this apartment is where Park Bong-pal (Ok Taecyeon) lives together with his uncle monk Myung-cheol (Kim Sang-ho) and his ghost friend Kim Hyun-ji (Kim So-hyun). 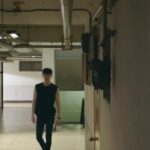 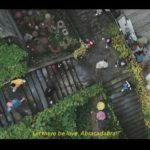 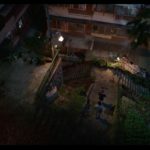 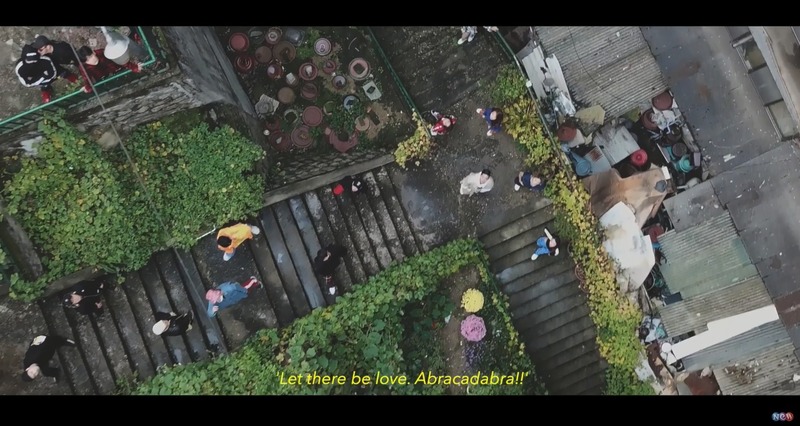 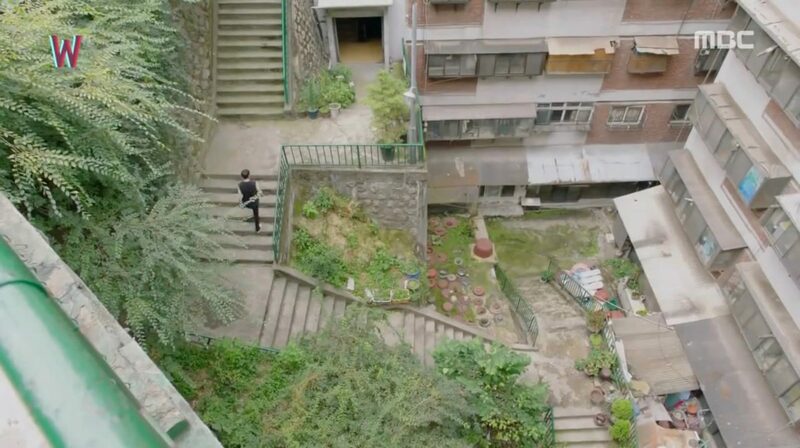 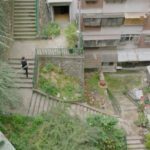 This is also the hideout of No-Face Killer (Kim Eui-sung) in W Two Worlds (더블유) (MBC, 2016) — as seen for example in episode 9 or 12. 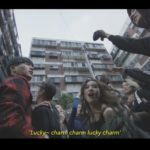 — Ryu Won-jeong (류원정) (2018): ‘Lucky Charm (복덩이)’. 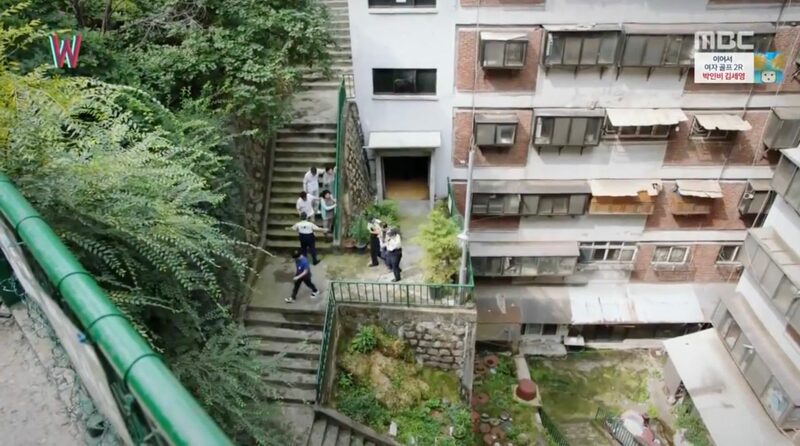 Second Model Apartment [제2시범아파트] is located in Seoul’s neighborhood of Hoeyeon-dong [회현동] in the Jung District. 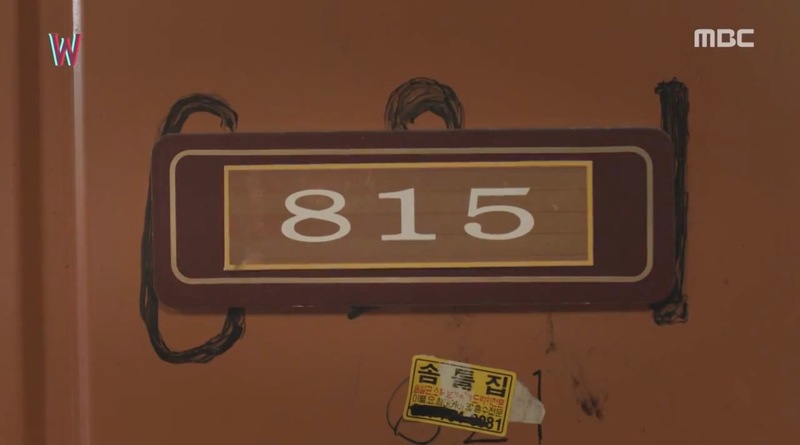 It was also seen in an episode of Infinite Challenge.